"Family owned and operated for more than 60 years"
Parties are held during regular skating hours. $5 admission price per skater. Doors open 15 minutes before general admission. One payment will be collected mid-way into the session. Cakes, snacks, and beverages may be provided by you. Three parties may be held in one session. 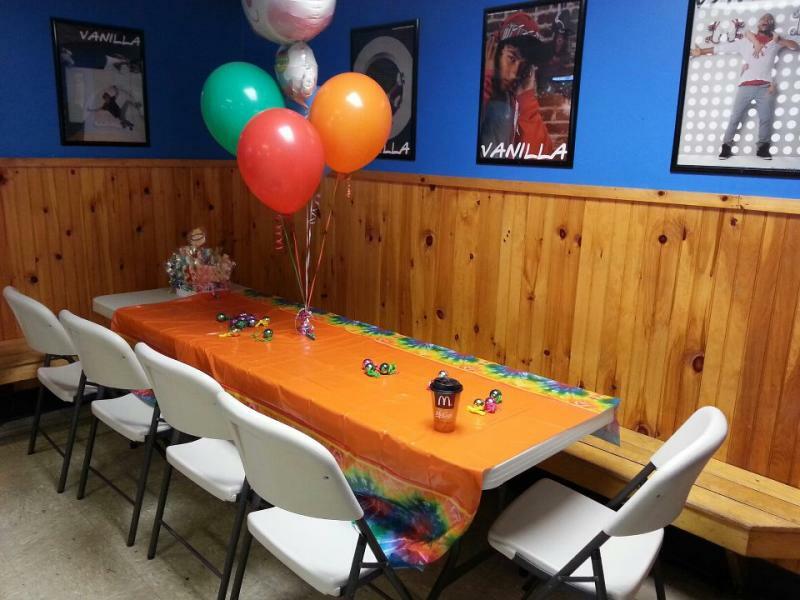 We provide tables, birthday announcements, one free pass, and all the fun! FREE!!! Download and print full color Rollodrome Birthday Invitations. Let friends and family know when and where your special event will be held. Click the image below for FREE download. For booking events, call Rachel at 783-3015, or Dan at 784-8174. We look forward to making your next event memorable! Copyright 2017 ROLLODROME, Inc. All rights reserved.